Gravity Guy – Games for Windows Phone 2018 – Free download. 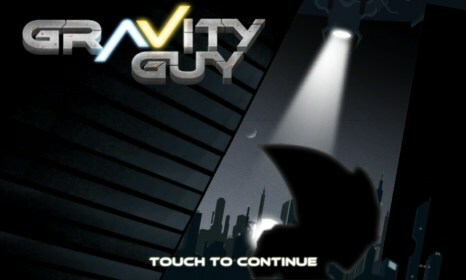 Gravity Guy – Running away from the chase breaking the law of gravity. Gravity Guy is a very dynamic arcade game of the runners genre for Windows Phone, with the help of which you can nicely spend your free time. The events of the game unfold in the distant future when robots live among people and serve them in a variety of areas. One of these robots was a guard at a city jail, and he always performed his tasks well until a young man got in custody convicted of a violation of the law of gravity. Yes, at these times people are able to move across the ceiling as easily as on the ground, but it is allowed only to the elite, and violators of this rule are to be put to jail. It is unknown how the main character got to escape from prison, but this is not the issue that bothers us. The main task now is to escape from our pursuer represented by a robot that every now and then catches the fugitive. This game came out a long time ago but is still popular among fans of the genre, and now you are going to learn why. Our character runs all by himself but he is so tense that is not able to assess the situation and spends all his powers to run. It is you exactly who have to mind the main hero's steps and take action depending on situation. In fact, these actions mean the only one thing which is to change the gravity vice versa so that he begins to run on the ceiling. This is the only way to overcome obstacles emerging in front of the main character. Collisions with walls do not harm the fugitive but he stops, and if he fails to move to the opposite lane in time, he will be caught by the robotic guard. In the game there are many chasms both in the floor and the ceiling. That is why you have to turn the gravity off and on very actively. 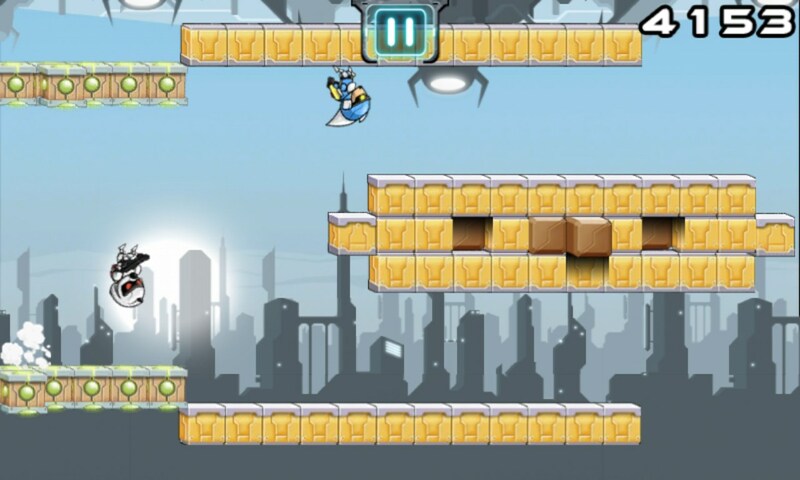 The game offers a lot of levels but a gamer pass them without interrupting the gameplay. It is nough to reach the large electronic gate, and you find yourself in a different location. 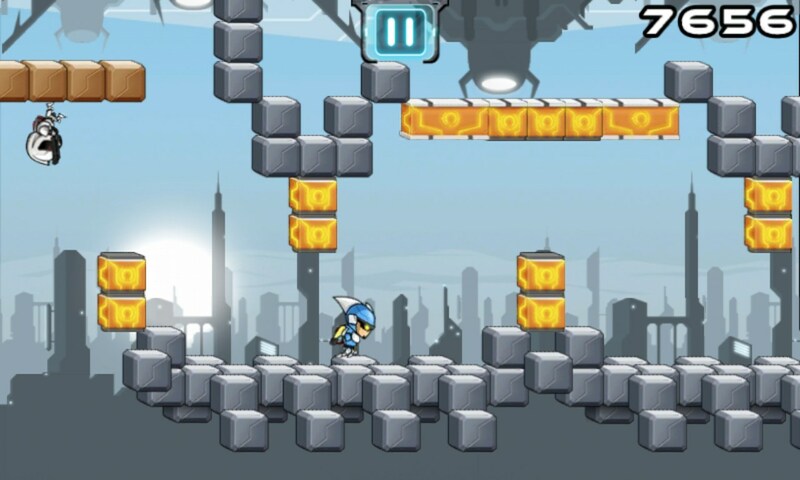 In case of the death of the hero and the return to the first level, you will find not a familiar terrain as the game always starts with a new location. On the one hand, this beget variety thanks to which you may not worry about the chance that the game will soon start to bore you, and on the other hand, you are deprived of an opportunity to become a skilled hand passing the same area several times, and this puts you to some troubles. 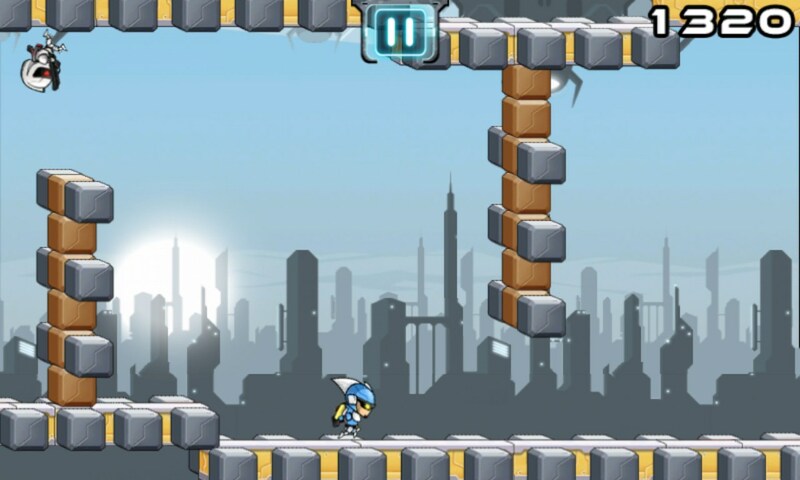 In addition to the walls and chasms, there are other obstacles in the game. 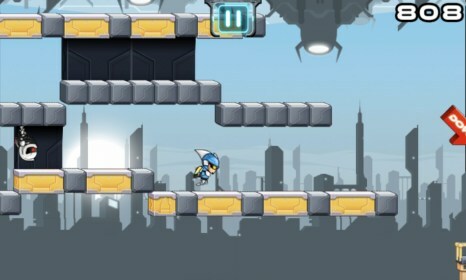 For example, the main character can run along arrows which accelerate him significantly. This, of course, allows him to break away from the chase, but the run will be more difficult since the obstacles are approaching him even faster. The game was created by the company that developed iStunt 2, so you can be sure that the graphics and sound are performed at the highest level.